All the latest martech and adtech news from Emarsys, Return Path, AppNexus, I Synergy Group, Microsoft, Bpm'online, Salesfusion, Civis and MarianaIQ. Emarsys has become the latest marketing cloud vendor to jump into artificial intelligence with a suite of AI-powered features in its platform. The Emarsys AI Marketing platform sits between the execution and campaign layers of the B2C marketing platform, and uses AI to provide new automated features to users. At launch, these include individually tailored incentive recommendations aimed at maximising revenue, predictive product recommendations for personalised shopping experiences, and send time optimisation to ensure perfectly timed content. The vendor said further features are scheduled next year. The new AIM offering is already being used by several clients globally including Evolution Slimming and Japan Centre. Emarsys claimed the recommendations feature has already helped Evolution Slimming chalk up great results, including a 28.6 per cent uplift in revenue compared to its ‘default incentive’ control group, and a 32.2 per cent lift in lead generated revenue. Just prior to the product news, Emarsys announced it had received another $22.3 million in funding, bringing its total funding to $55.3m to date. The cash injection will be used to drive AI innovation as well as accelerate growth through existing and new markets such as the US. I Synergy Group, a Malaysian-based affiliate marketing solutions provider, has set its sights on gaining an ASX listing nine years after its launch. The group has appointed Novus Capital to lead its IPO, and is looking to raise $8 million at $0.20 per share. I Synergy provides a performance-based marketing solution to merchants and advertisers based around its proprietary influencer marketing network, aimed at helping drive product awareness and increased sales. The group’s customer base includes more than 1000 bluechip advertisers such as Lazada, Sephora, Expedia, Groupon and AirAsiaGo. These organisations have signed up more than 20,000 influencers who have a reach across more than 2 million customers. I Synergy listed on the National Stock Exchange of Australia in August 2015 and recorded revenues of $22.3 million, with a net profit of $4.1 million. Raising funds through the IPO will allow the group to focus on regional expansion as well as help with technology development. The group plans to launch a new big data analytics offerings for clients in the New Year and has signed an agreement with Australia-based Buzz Analytics Group around its data and location analytics offering. “I Synergy is in a prime position for further group and development; getting listed on the ASX will propel the company to achieve its vision of being the regional leader in affiliate network and performance-based marketing solutions,” the group’s CEO, Dato’ Larence Teo said. Email data solutions vendor, Return Path, has acquired Email Copilot, a US-based company providing visualisation, monitoring, reporting and analysis tools for email deliverability. The deal sees Return Path purchasing the entire company, including technical assets and the existing book of business. “We are firmly committed to helping marketers and their technology partners grow their business through the email channel, and this acquisition directly supports that commitment,” Return Path CEO, Matt Blumberg, said. Email Copilot’s dashboard provides pre-send data to pinpoint possible deliverability issues before they occur, as well as post-send monitoring and alerts to notify the user when deliverability results fall outside of the normal range. 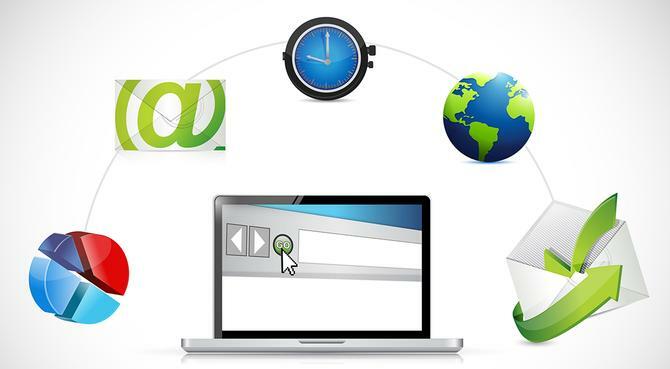 The technology will be integrated into Return Path’s existing email optimisation solutions. Ad tech player, AppNexus, has filed paperwork this week for an IPO during Q2, 2017. The company is seeking a valuation of between US$1.5 billion and $2 billion, according to a report in The Wall Street Journal. The company had been valued at $1.8bn in a 2015 funding round. In September, AppNexus raised US$31m in funding, including a $10m investment from news Corp and involvement from Yahoo Japan, bringing total funding to $282m, according to reports. AppNexus provides a supply-side programmatic ad trading platform. Microsoft has faced a tough battle getting its US$26 billion acquisition of LinkedIn approved in Europe. Salesforce has challenged the move on competitive grounds, and the EU competition authority has reached out to a number of competitors for comment. Now Microsoft reportedly is suggesting a set of concessions to European regulators in an attempt to get the deal approved. The tech titan has suggested that LinkedIn's competitors could create add-ins that let their content show up inside Outlook, according to the Wall Street Journal. Specifically, the add-ins would let competing social networks display their information in Outlook, so users could do things like see someone’s profile in a calendar entry. Microsoft already offers an open platform for companies to create and publish Office add-ins, including those that run in Outlook. The proposal also doesn’t address one of Salesforce's leading concerns: That Microsoft is going to hoard LinkedIn’s data, which it could use to gain a competitive edge in the CRM market. Microsoft reportedly also proposed that manufacturers like Dell would be able to disable any sort of LinkedIn ‘shortcut’ on computers they produce, in echoes of previous settlements the company has made around its bundling of browsers with Windows. Bpm’online has launched the latest version of its CRM platform with more than 200 enhancements including intelligent data enrichment and advanced dynamic case management. The intelligent data enrichment is designed to quickly identify email addresses, phone numbers, social media profiles and other information about a company from open sources, all with the aim of improving CRM data management. The dynamic case management meanwhile, gives users the ability to build and automate unstructured and ‘untamed’ processes in less than 5 minutes through drag-and-drop features, the vendor claimed. The wider list of 200 enhancements to the platform include improved capabilities for marketing campaign management based on customer behavioural patterns, integration with Elastic Email and new tools for monitoring and analysing unsent and undelivered emails, and improved tools for managing pre-configured visits on a mobile devices. Salesfusion has made a number of enhancements to its platform aimed at improving data access between technologies to simplify sales and marketing processes. The platform now automatically pushes responses from surveys and polls into the user's Salesforce CRM, giving sales a clear view of all prospect and customer feedback. The vendor has also improved its Microsoft Outlook links for emails, allowing users to send trackable emails, create tasks in the CRM add contacts from their address book to the Salesfusion database. A new software tool allowing Facebook users to visualise the advertising revenue they generate while browsing the online social network has been created by researchers at the Universidad Carlos III de Madrid. The free tool, known as the Facebook Data Valuation Tool, was developed by engineers in the university’s telematics department and is part of a European Project called TYPES (Towards transparency and Privacy in the online advertising business). The tool is partially funded by the Data Transparency Lab, founded by MIT, Telefonica and Mozilla, to promote Internet transparency by raising awareness of the importance of protecting digital privacy. The tool is available for Facebook and Google Chrome browsers so far and visualises in real time advertising revenue a user generates as they navigate the social network. Users just download the app and enter basic identity data, which the tool then uses to identify the profile’s economic value. UC3M professors, Ángel and Rubén Cuevas, developed the tool along with doctoral student, José González. The brothers said that when a user connects to Facebook and receives an ad, they obtain its associated value, the price those advertisers pay for displaying those ads and each 'click' a user makes on one of those ads. Civis Analytics, an analytics offering born out of the 2012 Obama election campaign, has raised US$22 million in Series A funding. The group aims to help companies, no-profits and campaign manager leverage data to develop smarter strategies, make better business decisions and build stronger engagement. The offering stems from work done by a team of data scientists and engineers in the Obama 2012 campaign offices to use data to improve the political campaign trail. Backed with a bit of seed funding from Google’s Eric Schmidt in 2013, the company has now grown to 135 employees and is working with a range of clients including Verizon, Robin Hood Foundation and the 2010 US Census in partnership with Young and Rubicam. The latest funding will be used to accelerate growth through new staff hires and long-term investments into search and development. MarianaIQ, a B2B focused marketing automation startup operated by Sigmod, has received US$2 million in seed funding led by venture capital firm, Exfinity Venture Partners. The US-based startup is focused on automating the account-based marketing (ABM) process by tapping deep learning technologies. It does this by taking customer purchase data and codifying individuals using internal, external public and priorietary data sources. The funding will be used to develop its product and go-to-market strategy. MarianaIQ was established with a presence in India and the US by former Juniper Networks executive, Nagaswamy, along with Soumyadeb Mitra and Abhishek Kashyap in 2013. With additional reporting by Blair Henley Frank.